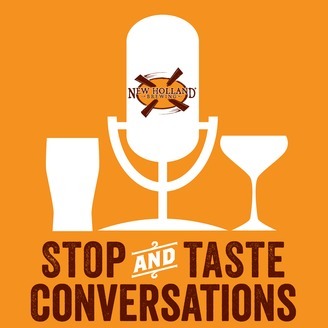 Stop & Taste Conversations by New Holland Brewing The Podcast with a two drink minimum. The world of food and drink is made up of remarkably interesting people. In fact, after more than twenty years of working and traveling in the business, it’s the incredible people I’ve met from all walks of life that have left the biggest impression on me. I believe people are the most interesting and valuable part of the entire craft renaissance. 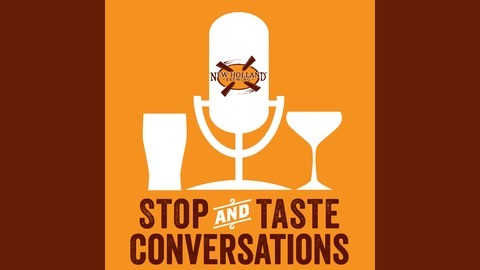 New Holland’s “Stop and Taste Conversations” podcast, is our way of shedding some light on these colorful characters. We’ll shoot the bull over a couple of drinks and share some stories with the folks we’re lucky enough to know and call friends. I met Carl a year ago at the China Craft Beer Conference. Carl’s passionate and direct approach to life, business and brewing stood out and fueled my curiosity. I was really grateful that we were invited to be part of the 2017 Beijing Invitational Craft Beer Festival. Besides the festival, Carl hooked us up with historical tours of Beijing and welcomed me to three unique Great Leap Breweries. This conversation happened with in view of the Great Wall of China, on a patio up in the hills, while the first kettle-soured brew of his Great Leap Fermentation project quietly came to a boil. The Music: “Wealthy Street” on intro and outro, © and courtesy of Drew Nelson Guest Bio: Carl Setzer: Founder and Brewmaster - Great Leap Brewing Born and raised in Cleveland, Ohio, Carl first came to China in 2004 and has been fascinated by this country ever since. While pursuing a Master’s Degree in Public International Affairs at the University of Pittsburgh, Carl studied Chinese language and culture. From 2007 to 2010, he worked for various IT companies across Taiwan, Pennsylvania, and Beijing. However, after a few years of working 17-hour days in the IT world, Carl decided he wanted to do something creative, challenging, and rewarding. Following a trip to Europe with his wife, Liu Fang, Carl was inspired by European beer culture and decided to try brewing beer that represented Chinese culinary tradition. After months of playing around with different recipes, he found a few that made him proud, and invited some friends over to try the beer. Once they recognized the potential of craft beer in Beijing, Carl and Liu Fang founded Great Leap Brewing in October of 2010. Carl remains Brewmaster and CEO of Great Leap Brewing, which has grown from four taps and one location to sixty taps across three locations. Carl is also a founding member of the Craft Beer Association of China and sits on their board of directors as well as on the technical committee. Carl also sits on the Technical Scientific Committee of the Berlin Institute for Fermentation and Biotechnology (VLB).